Why does water swirls clockwise and anticlockwise in different parts of the world. Why does water going down a plughole spin in one direction in the Northern hemisphere and in the other direction in the Southern? Which way (if any) does it spin on the equator? Also are there any planets which don’t spin? It doesn’t. This often asked question is an “urban myth” that derives from a misapplication of the physics phenomenon known as the Coriolis Effect.The Coriolis effect derives from the rotation of the Earth, and does effect a number of important physical systems. Winds blow clockwise around high pressure systems in the northern hemisphere and counterclocwise around high pressure systems in the southern hemisphere as a result of the Coriolis Effect, and the motion of ocean currents are affected by the rotation. However, water going down drains, toilets, or sinks is not effected by the rotation of the earth, rather, the motion of water in such small basins is determined by the friction between the basin and the water, the shape of the basin, and other such factors, but not by the rotation of the earth. 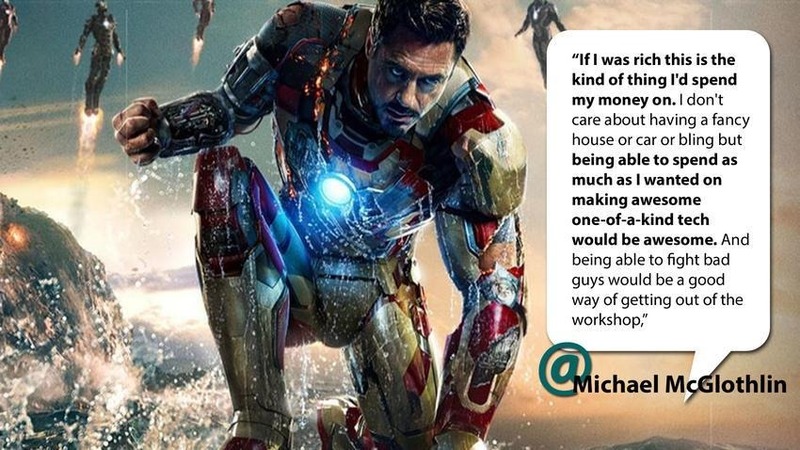 How much would it cost to fund the high-tech lifestyle of Iron Man 3? Being the “hero” in the third installation of the Iron Man series raised in price from $1.6 billion in the first movie to over $10 billion. This infographic breaks down the costs associated with being Iron Man, from the Tesla Roadster to the artificial intelligence computer in Tony Stark’s home. Never swim alone. Always go swimming with at least one other person who is a strong swimmer, if not several other people. Don’t start out swimming in moving water. If you’re learning to swim in an ocean or river, you’ll need to be more aware of the motion of the water. If you must learn to swim this way, try to make sure you’re with someone who knows what he or she is doing, and be sure to read the step about getting out of a riptide or a rushing river (below). Stay within a depth you can handle. When you’re first learning how to swim, don’t venture into water that’s too deep for you to stand in. That way, if something goes amiss, you can simply stand up and breathe. Try to avoid swimming in bad weather. If you see a storm coming in, get out of the water. Don’t swim in water that’s too cold. Moving your limbs to paddle can become suddenly difficult if you’re in frigid water. Get used to floating. When you’re in the water, hold on to the side of the pool or a dock, and let your legs float out behind you – they should lift easily if you let them. Practice doing this on your stomach and on your back, until you’re comfortable letting half of your body float. Try floating on your back or your stomach as soon as you’re ready. Stay in a shallow depth so that you can simply stand up if it’s not working out. 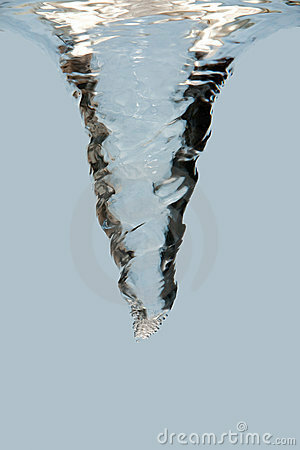 It might feel weird to have water around your ears while your nose and mouth are in the air, but you’ll get used to it. For extra stability, put out your arms at a right angle so that your body is in a “T” shape. Don’t panic. Always remember that you have a fallback if you’re in an unmanageable depth or you simply can’t move your limbs – floating on your back. Don’t flail around or start breathing quickly if you can’t swim; simply lie back as flat as you can, and let the water carry you while you regain your composure. Practice exhaling underwater. While you’re still in a shallow depth, take a deep breath and put your face underwater. Slowly exhale out your nose until you’re out of breath, then come back up. If you’re uncomfortable exhaling through your nose, you can hold it closed or wear a nose plug and exhale through your mouth. Wear goggles (optional). Wearing goggles can help you feel more comfortable opening your eyes underwater, and might allow you to see more clearly. Find a pair with spongy circles around the eyes and dip them in the water, so that they’ll stick to your skin. Tighten the strap around the back of your head so that the goggles fit snugly. Try a flutter kick. Point your toes out like a ballerina, keep your legs mostly straight, and alternate legs as you make small kicks. You should feel the most flexion in your ankles. Try a whip kick. Keep your legs held tightly together from your hips to your knees, and from your knees to your ankles. Bend your knees so that your shins come up to about a 90-degree angle, then quickly bring your shins apart and move them in a circular motion, keeping your thighs together the whole time. (That is, trace half a circle with each leg, moving your right leg to the right and your left leg to the left.) Bring your shins back together at the bottom of the circle, and lift them up again to restart the kick. Try an eggbeater kick. This kick is commonly used to tread water, and stay in a vertical position with your head and shoulders above water. Start with your knees bent and your legs slightly wider than hip-width apart. Then “pedal” each leg as you would on a bike, only they’ll go in opposite directions: while one leg pedals “forward,” the other leg should pedal “backward.” This one takes some practice to get used to, but it’s handy for “resting” when your feet can’t touch bottom. Tread water. Treading water can help you catch your breath and keep your head up without actually swimming. Do the eggbeater kick listed above, and use your hands to keep your balance by “sculling” – keep your forearms flat on the surface of the water, and imagine they’re butter knives spreading on a piece of toast. Move one arm in a clockwise circle, and the other arm in a counterclockwise circle. Try a backstroke first. Float flat on your back, and do a flutter kick with your legs. With your arms, do the “crawl” motion, lifting one arm straight into the air and keeping it straight as it re-enters the water next to your head. Once it’s underwater, bend it to bring it back to a straight position next to your side, and repeat. Alternate arms as you swim, and try to keep your fingers together and your hands as flat as possible. Try a frontstroke (also known as a freestyle or American crawl). Floating on your stomach, do a flutter kick with your legs and use your arms to “crawl” forward. Bring one arm out of the water so that it’s “reaching” forward, then bring it back down and use your cupped hand to “push” the water behind you. Alternate arms. To breathe, turn your head to one side under the arm that’s currently crawling, lifting enough for you to take a breath. Take a breath under the same arm each time, so that you’re breathing once every two strokes. Use your arms to come up from the bottom. If you’re below water and would like to come up, use your arms to propel yourself. Put them straight up above your head, and quickly bring them down to your sides. This should push you up a few feet. Repeat until you break the surface. Try diving. Dives can be a fun way to get into the water and start a stroke. Start with abasic dive, and move on to more complicated swan dive, back dive, and rolling dive. Always make sure the water is deep enough before you dive. At a bare minimum, the water should be 9 or 10 feet deep; if you’re a tall person, make it at least 11 or 12 feet. Know how to get out of a riptide. If you’re swimming in the ocean, you might get caught in a riptide. Knowing what to do can save your life, so try to memorize these steps before you get into the water. Do not panic. This is, by far, the most important step of all. By flailing and panicking, you could actually keep yourself under the water. Swim sideways. Do not try to swim directly to shore or directly out further into the ocean. Instead, try to swim in a line that’s exactly parallel to the shoreline. Swim in a stroke that allows you to breathe. Swim with the strongest stroke you can do that also allows you plenty of room to breathe. This might be a sidestroke, front crawl, or breaststroke. Keep swimming until you’re out of the riptide. You might have to swim quite far before you’re safely out of the riptide, but keep going. You don’t want to undo the good work you’ve done so far by heading for shore at the wrong time. If possible call out for help. If you can, motion to the lifeguard or yell “Help!” as soon as possible. However, don’t do this if it means sacrificing a breath or if you have to stop swimming – it’s better to keep yourself moving. Don’t flail or panic. As with a riptide, panicking and flailing your limbs can push you deeper into the water. Try to take even breaths and remain calm. Aim to swim diagonally toward the shoreline. Swimming toward the shoreline at a 90-degree angle will force you to fight with the current too much, and might cause you to become exhausted quickly. Instead, plan to get to the shoreline at a diagonal angle that goes with the current. Don’t try to swim upstream. You’ll spend too much energy for not enough results.Only try to swim upstream if there’s immediate danger downstream, such as sharp rocks or a waterfall. 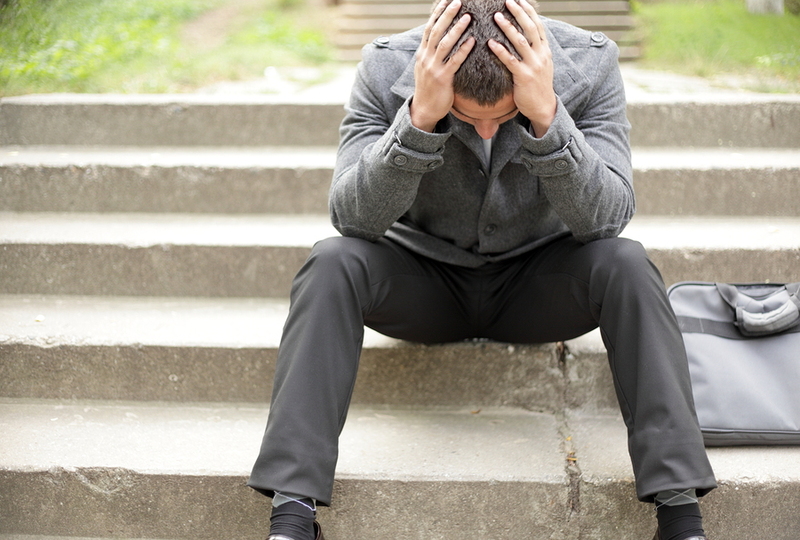 The 10 Reasons that leads us to failure. 1. Like Yoda said, you just don’t believe it. The crucial part of Yoda’s dialogue with Luke is “believe.” The human brain is a powerful problem-solving and prediction making machine, and it operates via a multitude of feedback loops. What matters most in the feedback loop dynamic is input — what goes into the loop that begins the analysis-evaluation-action process, which ultimately results in an outcome. Here’s the kicker: if your input shuttle for achieving a goal lacks the critical, emotionally relevant component of belief, then the feedback loop is drained of octane from the start. Another way to say that is — why would you expect a convincingly successful outcome when you haven’t convinced yourself that it’s possible? I’ve always thought the “know your station in life” idea to be among the most pernicious we humans have ever come up with. The only version of it I like is Tennessee Williams’: “A high station in life is earned by the gallantry with which appalling experiences are survived with grace.” Love that Tennessee Williams. What’s more pernicious than the idea itself is that it’s often heaved upon us by other people, and they convince us that we are what we are and we’d better just live with it because, well, that’s what we’ll always be. Really? Says who? Show me the chapter on predetermined stations in the cosmic rule book, please. This also gets back to the feedback loop dynamic, because if this external “station” scripting is part of your input, you can expect sub-par outcomes all the time. 3. You don’t want to be a distrupter. The word “disrupter” has taken on such a heavy, mixed bag of meanings in the last few years. Reading both popular psychology and business books, I’m not sure if it’s a good or bad thing to be. One thing seems certain — the notion of disrupting anything–of being the water that breaks the rock–is scary to most of us. Reason being, disruption is perceived as a threat to our threat-sensitive brains. Disruption means that consistency, stability and certainty might get jettisoned for a time, and that puts our hard-wired internal defense system on high alert. Sometimes, though, you have to override the alarms and move ahead anyway. If you never do, you’ll never know what could happen. 5. You wonder how you will be remembered. The rub here is simply that, if you “die tomorrow,” will people remember you as someone who clung to stability like an existential life preserver — and is that what you really want? I know for a fact that many people do want exactly that, because it’s a comfortable niche to occupy on the obituary page. ”She/he was a good person, good friend, good….” Good is fine, but it ain’t great. You can’t strive for great achievements by dropping anchor in Goodville. My take on this is: it’s OK to wonder how you’ll be remembered, but don’t let thoughts of “good and nice and stable” effect that all important feedback loop, because if you do your brain will be happy to oblige with lots of good and little else. 6. You think there must be a pre-established role for your life, and you might be screwing with it. This one also touches on the “station” idea discussed above, but it goes deeper than that. We humans are prone to believing in something psychologists call “agency.” We want to believe there’s a reason for everything, and that everything has a prime mover — an agent, whether human or otherwise. So, we think, what if there’s a reason we are what we are — what if celestial agency has determined it so? Should we be messing with that? The error in thinking here is clear — agency is a figment our brains rely on to manage difficulty with as little trauma as possible. The first thing to do is recognize that, and then recognize that the role for your life has only one true agent — You. 7. Your career appears to be well-established and that’s good…right? Well, maybe that’s good, sure. The question becomes, is “established” what you really want? Maybe it is, and that’s cool. But if “established” means you can’t reach beyond certain imposed parameters to achieve anything else that you truly want, then maybe it isn’t so useful after all. Like most things, this is a personal choice and it doesn’t have a right or wrong answer. But it’s worth acknowledging that you may very well be “establishing” yourself out of greater achievements. 8. You are afraid of losing what you have built. A totally legitimate fear, and one we should kick out of our perspectives as quickly as possible. Here’s one example why: Remember this little thing we’ve been suffering through for sometime now called a recession? Remember how many people lost all or nearly all they’d “built” during these last few years of economic erosion? The reality is, you can lose everything in a heartbeat through no fault of your own, so why allow that fear to stop you from reaching out for what you really want? This goes in the same basket as “I could die tomorrow.” Yes, true, we can lose, we can die. So what? Push forward. The proverbial “ceiling” — so long have ye been with us, and yet so little have ye given us. I side with the late great Peter Drucker who said (paraphrasing from this classic article on Managing Oneself) if you reach a point in your career where you think you won’t progress any further, then start focusing on the next part of your life. Actually, he added, you should start thinking about the next part of your life well before you begin it. The point is, forget about ceilings and focus on achievement. When you start using the cultural shibboleth of the ceiling as an excuse, you are achieving nothing and will continue to do just that. 1o. Confusion about where to go. Of all of these 10 ideas, this one is to me the most difficult because it plagues me almost constantly. Gearing up the cerebral feedback loop for achievement is one thing, but without a sense of focus and direction, all of that energy isn’t going to yield very much in the end. My experience has been that sometimes you have to let the energy flow for a while without too firm a sense of direction and see if focus emerges organically. Once it does, you can then nurture it into a more structured method for getting where you want to go. If you have thoughts on these 10 ideas, or suggestions entirely separate from them, please write them in the comments section. I and others want to hear them, so let em rip! 10 Reasons We should start living underwater. 10: The Undersea Setting Is Unique And Beautiful. 9: You Could Establish Your Very Own Micronation. 8: The Location Is Convenient To An Excellent Food Supply. 7: Weather Could Be Controlled. 6: You’d Live Conveniently Close To A Growing Energy Source: Wind Turbines. 5: You Could Have Transportation and Housing All In One. 4: The Environment On Land Is Deteriorating. 3: Rising Water Levels Might Make Undersea Living Necessary. 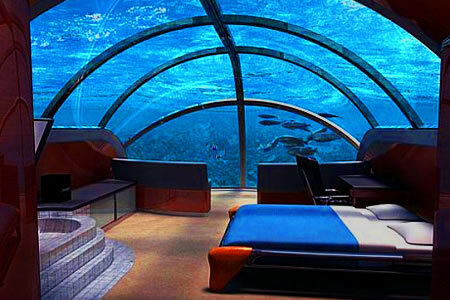 2: We Might Have To Go Undersea Simply For Space. 1: Living Undersea Is Good Practice For Going Into Space, If You’re So Inclined. Million Dollar Laptop – Are you serious ? You wont be surprised if it was a Luxury Car or a Home in Dubai, but seriously, its a laptop !! Luvaglio is a recently established computer company entering the luxury devices market. The boutique claims to be developing a notebook computer of handmade shell, with a guide price of $1 Million. Perhaps there are options to have your personalized shine on this gadget with precious stones. So when are you ordering one ? How fashonable can you go upto ? – LED laced shoes to stand you out of the crowd ! 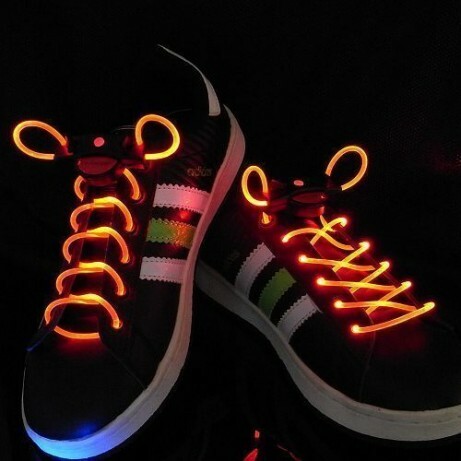 These LED laces will simply leave you in the spotlight when it comes to outrageous wardrobes. Add this accessory to your wardrobe and you will be sure to get everyone talking. Install 1x 3V CR2016 button cell battery into each control box. Insert the top of each lace into the 2 holes of the control box, switch the lock to “lock” mode. Push the white button in turn to control the lights: on/flash/strobe/off.